Cashback Reward : Earn up to 15$! 1 kb Plus DNA Ladder is composed of twelve linear double-stranded DNA bands. This ready-to-use product is premixed with 1x DNA loading buffer. 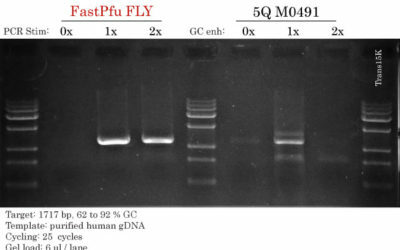 Based on experiment requirement, 5 μl marker can be directly loaded for gel electrophoresis. It provides simple operation and produces clear band resolution. 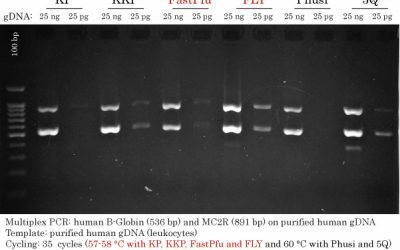 For easy reference on agarose gels, the 2000 bp band (100 ng/5 μl) is brighter than the other bands (50 ng/5 μl).